This is an LUK, OEM for this part B7 S4-RS4 clutch disc which fits other and older models. This is more durable than the A4 and older discs due to its spring design so in those cases it is an upgrade. We have installed these on all the vehicles as per our fitment below. NOTE: There is NO WARRANTY on any wearable clutch part like this, especially when not sold as part of a full kit. Could this be used as a direct drop-in clutch disk upgrade? 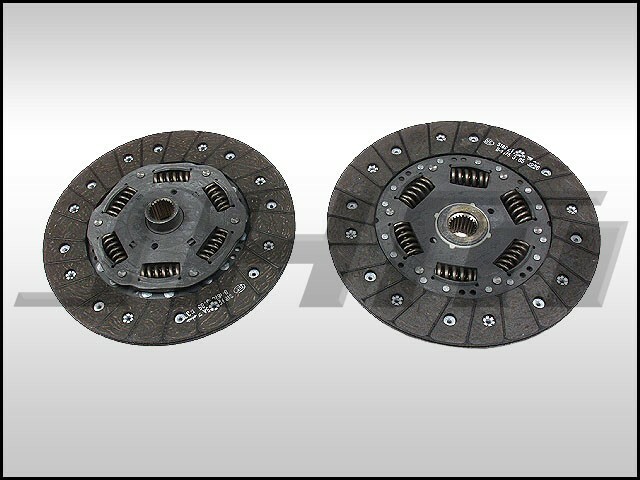 Or would I need the additional clutch kit components in order to run this disk? This disc is standard for a B7-RS4, and an upgrade for other 240mm vehicles such as a B7 A4, or B5 S4 etc. Older 1.8T cars had a smaller disc and you will need the conversion first.